An interview with Michael Munk and Adam McInturf of Windows Booksellers and Wipf & Stock Publishers. 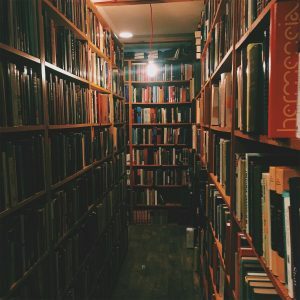 This episode introduces a publisher which specializes in academic and scholarly works but also serves indie publishers of literary fiction and even poetry. This interview discusses an aspect of indie publishing that often goes unnoticed and the history of indie publishing in an academic setting. This entry was posted in Read Between the Worlds Podcast and tagged Interview on March 28, 2018 by Two Worlds Media. THIS was such to treat to listen to! I really appreciate the engaging questions you asked. It told so much about what you care about. And thanks for being such an encouragement to us! Thanks, Hilda!